To make renewable energy sustainable, a kind of levy has to be imposed on your energy consumption. The more you use energy the more surcharge (hidden charges if you like) will be levied on you. Germany is doing just that. Germany's electrical grid operators Monday (Oct 15, 2012) said they were hiking by nearly 50 percent the charge to consumers that goes to finance subsidies for renewable energy as the country phases out nuclear power. Consumers will be asked to pay 0.05277 euros ($0.06839) per kilowatt hour of electricity consumed in 2013, the firms announced, compared to a 0.03592-euro surcharge this year. For an average three-person house, this 47-percent increase amounts to an additional 60 euros per year to around 185 euros in add-on power taxes. In total, the network operators hope to collect more than 20 billion euros to finance renewables. 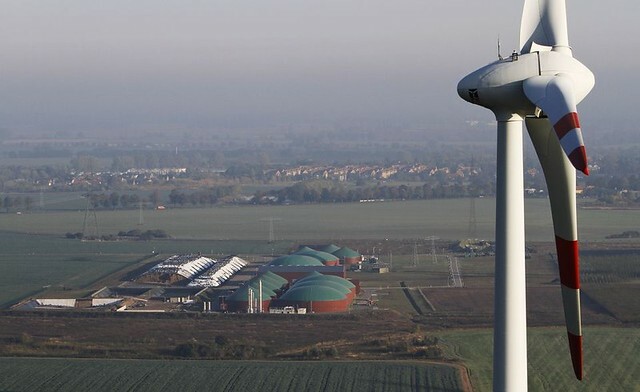 On Thursday, German Environment Minister Peter Altmaier said that Europe's top economy wanted to have 40 percent of its energy needs from renewable sources by 2020, up from a previous target of 35 percent. Germany decided in the immediate wake of Japan's 2011 Fukushima nuclear plant disaster to shut down its nuclear reactors by 2022 and ramp up the use of renewable energy. Chancellor Angela Merkel has made the so-called "Energiewende", the term used to describe both the end of nuclear power and the promotion of renewable energy sources, one of her government's priorities. Germany's new electricity surcharge of €0.05277 (RM0.21) is almost equal to Malaysia's average household electricity price. According to the EU statistical office Eurostat, Germany's average household electricity price is €0.253 (about RM1.00) per kWh, the second highest in the 27-member bloc behind Denmark. Suddenly our electricity tariffs seem so cheap. In Malaysia, to help finance the Feed-in Tariff scheme, consumers who use up more than 350kWh per month are levied with 1% surcharge. This is good for a start but that just shows that we are still at infancy stage compared to Germany. if it really is then we might as well replace the radiation hazard warning with a safe green one. You have a keyword "hike."